MILBU TEIKA - EXC -1, CQ, BB- 4, nom. "BEST MOWER"
This year on traditional CKCS show were registered 168 Cavaliers, including 28 from Latvia!! Breed lovers has increased. Cavaliers had arrived from the Poland, Lithuania, Latvia, Estonia, Finland, Sweden, Belarus, Russia. The experts were very strict, each dog was described very detailed. 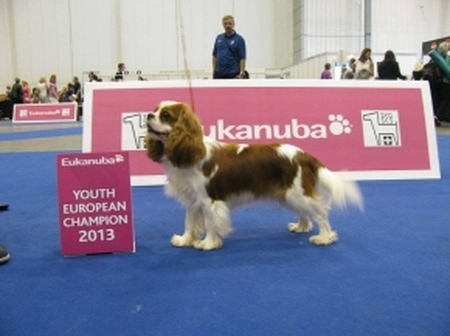 It is already tradition that cavaliers living in Latvia bravely go to Cavalier king charles spaniels speciality show in Tallinn to receive opinion and description of this breed experts. 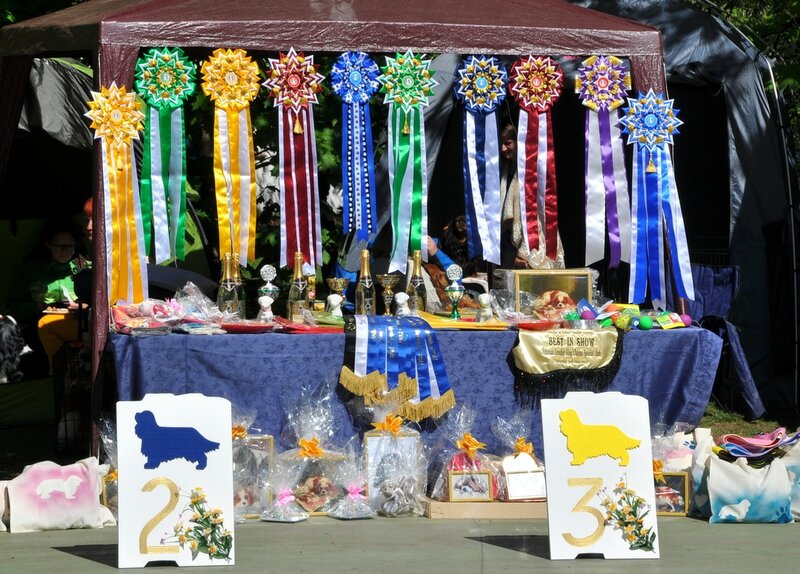 ​This year 156 cavaliers from Latvia, Estonia, Lithuania, Poland, Russia, Belarus, Denmark, Finland participated in this dog show. The results of Latvian participants are brilliant! Congratulations!!! 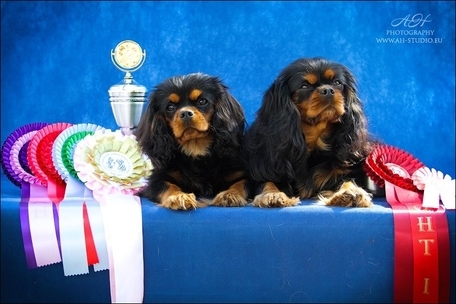 We are congrats all our Cavalier owners and other Latvians, who also participate in this dog show. On main picture Elayna Star Lagiva - Thanks Gita for picture! 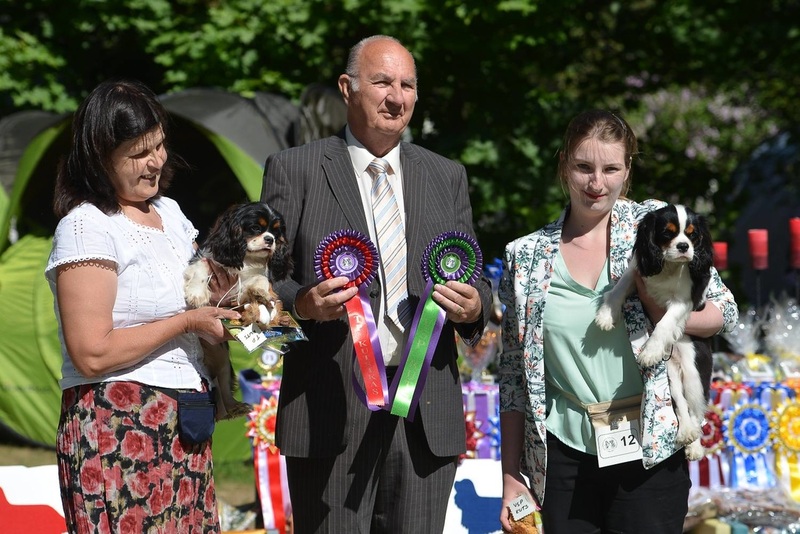 Estonian Cavalier King Charles spaniel club show -results! 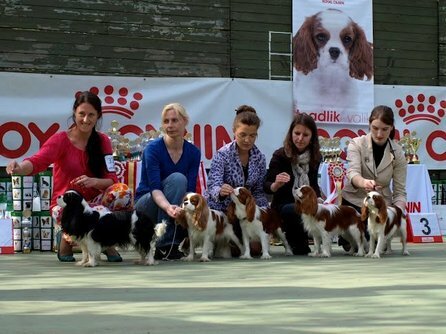 We are congrats all other Latvians, who also participate in this dog show. Good luck next year too! 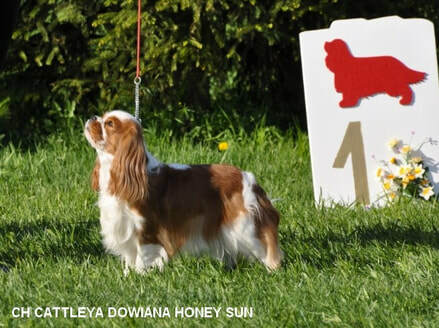 The Estonian Cavalier King Charles Spaniel club dog show happened on 18TH/19TH MAY 2013. Estonian Cavalier club has 10 year Birth day and they invite participants to show dogs in vintage closes. 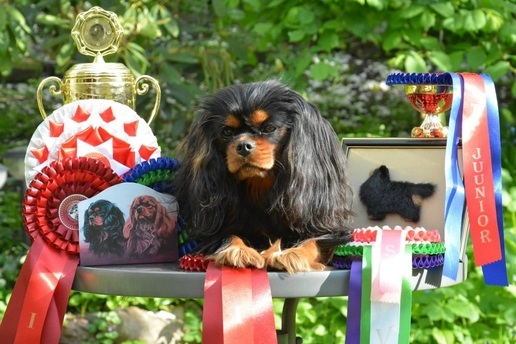 Congratulation Milbu kennel owner Milda Busa with cavalier king Charles spaniel ﻿﻿Milbu All In Sun﻿ ﻿results in European dog show Geneva. Thanks to judges Ligitai Zakei and Kari Jarvinen, and Gedert Buss for handling!